Everyone has different ways of dealing with their grief over a dead pet. Stuffing their loved animal to forever commemorate and to mount as a decoration in their house is not, in my opinion, one of the healthier options. Taxidermy is a surprisingly fashionable trend these days. Depending on who you ask, taxidermy is seen as an art form or as an action that aids in the grieving of a lost pet. If you ask me, dead animals are not art or decorations, especially not when they’re deceased pets—and keeping their bodies is not going to help you grieve the loss of a loved one. Stuffing your pet to immortalize them just doesn’t seem like a good way to cope with their death. I feel like many people use this method because it makes them feel like their pet is still alive. This does not allow one to come to terms with death and in fact may might make the process of accepting it a lot more difficult. It’s undignified and disrespectful to the animal. You wouldn’t stuff and mount a dead person in your house, so why is an animal any different? How would you like it if someone stuffed you and kept you in the TV room as a macabre decorative piece? Speaking about taxidermy more generally, many people claim it’s an art form more than anything else. 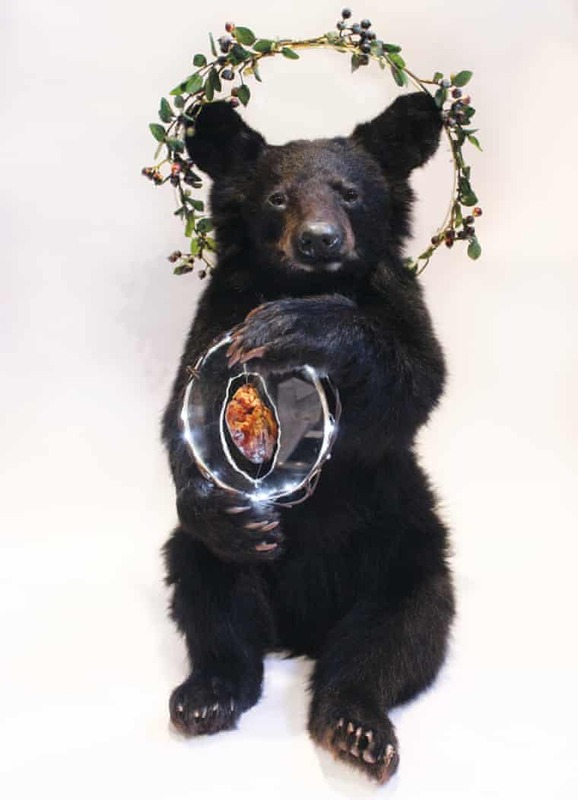 There’s even a Huffington Post article where a taxidermist claims that she enjoys it so much because it’s an artistic challenge with different “biological matter.” I’ll admit, some taxidermy “art” that I have seen is quite beautiful (but a lot of it is just creepy). However, I hold onto the belief that when we all eventually die, we should be given back to the earth as nature intended. I think stuffing animal bodies and pumping embalming fluid into them to put on your mantel as a quirky art piece is cruel and unnatural. I hope as our society evolves, taxidermizing animals is left in the past. There is nothing more depressing to me than seeing a once beautiful and lively animal being used as a bookend. They’re not objects. They were once living, breathing things and they should be respected.